A growing body of research suggests that early intervention is important for helping children with autism spectrum disorders. But early identification, which is critical for early intervention, has been somewhat elusive. 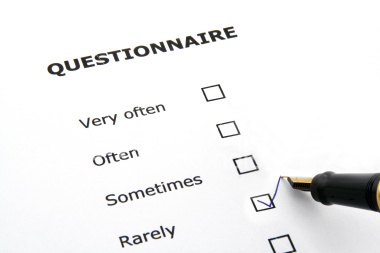 A new questionnaire, designed to be completed by parents in the pediatrician’s office during the one-year-old well-baby checkup, may help. Researchers from the University of California at San Diego had pediatricians distribute the 24-question survey to parents of 10,479 babies. 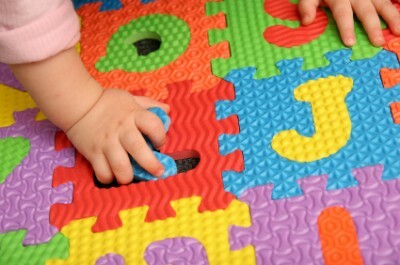 The test identified 1,371 babies as potentially having autism or other developmental delay. The researchers tracked 184 of those, of whom 32 were subsequently were found to have autism spectrum disorder, 56 had language delays, 9 had developmental delays and 36 had other problems. The survey is promising, but there was one challenge: 25% of the babies identified as potentially having developmental delays ended up on a normal development path. Such a high false-positive rate could result in a lot of unnecessary anxiety for parents. Although many pediatricians don’t screen 1-year-olds for autism, there is a growing body of evidence suggesting early intervention can be effective, said Dr. Karen Pierce, the lead author of the study — published Thursday in The Journal of Pediatrics — and assistant director of the Autism Center of Excellence at University of California, San Diego. The checklist poses simple questions, like whether a baby responds to his or her name, whether parents can tell when an infant is happy or upset, and whether a child engages in pretend play with dolls or stuffed animals. These kinds of problems are more likely to occur when the child is in a noisy environment or is listening to complex information. When you learn new facts, interact with colleagues and teachers, experiment with new gadgets, or engage in countless other learning activities, timing plays a role in the functioning of your neurons, in the communication between and within sensory systems, and in the interactions between different regions of your brain. 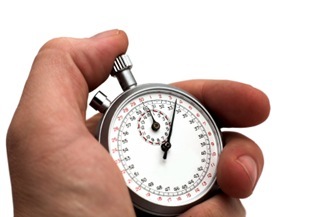 The success or failure of attempts to communicate using gestures, expressions and verbal language also depend on timing. In short, timing is critical for learning at every level, from learning the precise temporal patterns of speech sounds, to learning appropriate sequences of movements, to optimal training and instructional schedules for learning, to interpreting the streams of social signals that reinforce learning in the classroom. at the day-to-week time scale for consolidation and maturation. Each level of learning has its own temporal dynamics, and its own timing constraints that affect learning. These levels are not independent, but instead, timing constraints at one level affect learning at another level in a nested way. For example, the dynamics at the cellular level, which is often on the order of milliseconds, implement learning on the whole-brain and behavioral level on much longer time scales, including memories that last a lifetime. The past decade of neuroscience research demonstrates that the intrinsic temporal dynamics of processes within the brain also reinforce and constrain learning. For example, we have discovered that slow learners tend to have slow “shutter speeds” in terms of how their brains take in and process information. For some poor readers, the underlying problem is the their inability to perceive fast acoustic changes in speech sounds (phonemes) that must be accurately perceived in order to learn letter-sound correspondence rules for reading. One such training program is the Fast ForWord program, which can be an effective intervention for children with struggling with processing rates because it goes right to the cause of the problem, strengthening the gray matter in the area of the brain responsible for processing auditory information. With Fast ForWord, children are first exposed to sounds that are modified to enhance the minute acoustic differences between similar speech sounds. As children demonstrate proficiency and build new neural pathways, the program automatically reduces the level of modification, until eventually students are challenged to process normal speech sounds. Combining the cutting-edge technologies of MRI and MEG, scientists at the University of California, San Diego show that babies just over a year old process words they hear with the same brain structures as adults, and in the same amount of time. Moreover, the researchers found that babies were not merely processing the words as sounds, but were capable of grasping their meaning.